Asian summer monsoon sets in over India after the Intertropical Convergence Zone moves across the equator to the northern hemisphere over the Indian Ocean. Sea surface temperature (SST) anomalies on either side of the equator in Indian and Pacific oceans are found related to the date of monsoon onset over Kerala (India). Droughts in the June to September monsoon rainfall of India are followed by warm SST anomalies over tropical Indian Ocean and cold SST anomalies over west Pacific Ocean. These anomalies persist till the following monsoon which gives normal or excess rainfall (tropospheric biennial oscillation). Thus, we do not get in India many successive drought years as in sub-Saharan Africa, thanks to the ocean. Monsoon rainfall of India has a decadal variability in the form of 30-year epochs of frequent (infrequent) drought monsoons occurring alternately. Decadal oscillations of monsoon rainfall and the well-known decadal oscillation in SST of the Atlantic Ocean (also of the Pacific Ocean) are found to run parallel with about the same period close to 60 years and the same phase. In the active–break cycle of the Asian summer monsoon, the ocean and the atmosphere are found to interact on the time scale of 30–60 days. Net heat flux at the ocean surface, monsoon low-level jetstream (LLJ) and the seasonally persisting shallow mixed layer of the ocean north of the LLJ axis play important roles in this interaction. In an El Niño year, the LLJ extends eastwards up to the date line creating an area of shallow ocean mixed layer there, which is hypothesised to lengthen the active–break (AB) cycle typically from 1 month in a La Niña to 2 months in an El Niño year. Indian monsoon droughts are known to be associated with El Niños, and long break monsoon spells are found to be a major cause of monsoon droughts. 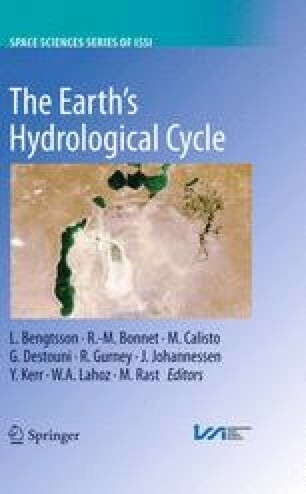 In the global warming scenario, the observed rapid warming of the equatorial Indian ocean SST has caused the weakening of both the monsoon Hadley circulation and the monsoon LLJ which has been related to the observed rapid decreasing trend in the seasonal number of monsoon depressions.